KayKiSpeaks.com: Act Like A Lady, Think Like a Man movie filming now! Act Like A Lady, Think Like a Man movie filming now! The recently saw someone RT this photo from comedian Kevin Hart on twitter. He's starring in a new movie based upon Steve Harvey's best seller, Act Like a Lady, Think Like a Man. 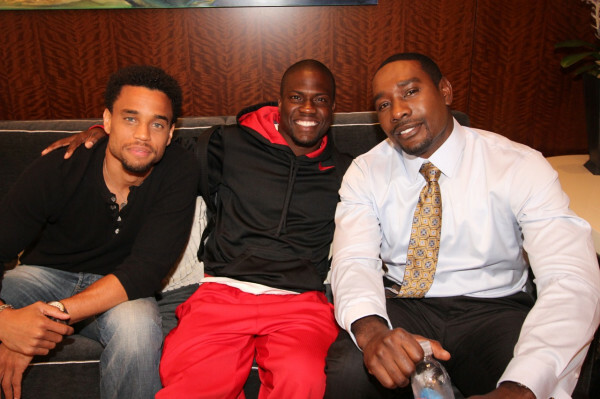 Also in the film as you can see will be the gorgeous Morris Chestnut, Michael Ealy, & I believe Taraji is in it too. The book was definitely a success..maybe the movie will be too..?